Body Work - Precision measurement and frame pulls guarantee restoration of your vehicle exactly to pre-accident condition. 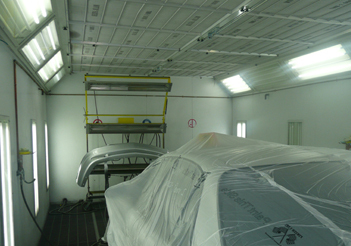 Painting - State-of-the-art Downdraft Booths guarantee a clean and efficient working environment. 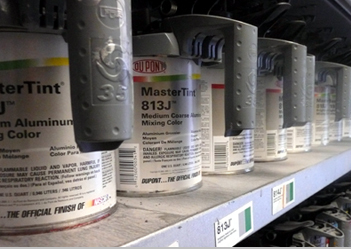 Dent Repairs - With special tools and training we are able to repair minor dents without disturbing the paint finish. Door & Glass - Our technicians are trained and certified to insure that the service we give you is top notch which includes our in shop windshield and or door replacement. Towing - We can arrange towing for your vehicle to our secured storage facility. Estimates - We provide free estimates using our state of the art computerized estimating system enabling us to email you estimates and photos for your convenience. Detailing - Helping you protect your investment with complete auto detailing services. Car Rentals - For your convenience we can arrange your car rental needs for you. We will arrange to have them pick you us at our facilities.